Love white cats as much as I do? Check out these 10 beauties that will absolutely steal your heart! I have a soft spot for white cats. My very first cat, Gypsy, was all white with two different colored eyes. While I lost her when she was just 8 years old, I had her daughter for exactly half of my life! Mally was born right before my 21st birthday and passed away last month at age 21 herself. Mal was born mostly white, with two little black “horns” on her head. As she got older, the horns faded away, leaving her all white. 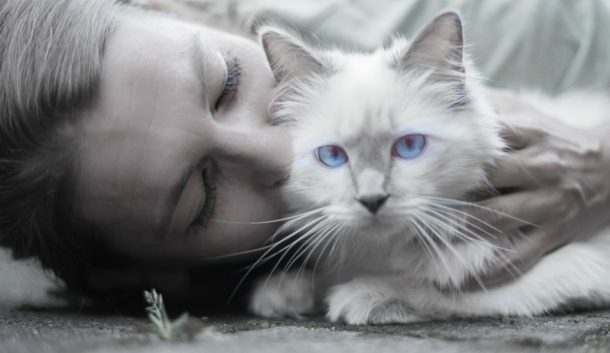 In honor of my sweet girl, here are 10 white cats that have totally captured my heart! 1- In my house, a flexed paw like that either means “pet me, love me!” or “I’m gonna get you!” The problem? You never know which one it is until it’s too late! 2- This kitty reminds my of my Gypsy girl! Except Gypsy had one blue eye, and one that was half blue and half green. 3- White cat parents know that white bedding is best if you don’t want their hair showing up all over the place! 4- Two white cats are always better than one! 5- Don’t you wish you could be as Zen as this kitty? 6- Oh. My. Goodness. That face, those eyes, the pudge! I am in love! 7- This fluffball looks like he’s had just about enough of your nonsense! Whatever that nonsense may be, only he knows! 8- Tell me this cat is wearing a bonnet? Oh, the cuteness! 9- If I fits, I s! 10- Sophisticated Cat is heading to the museum! Are you totally in love yet? I know I am! I really miss my white kitty. For the longest time, we had both a black and a white cat in our house. I’ve heard that it’s good luck! 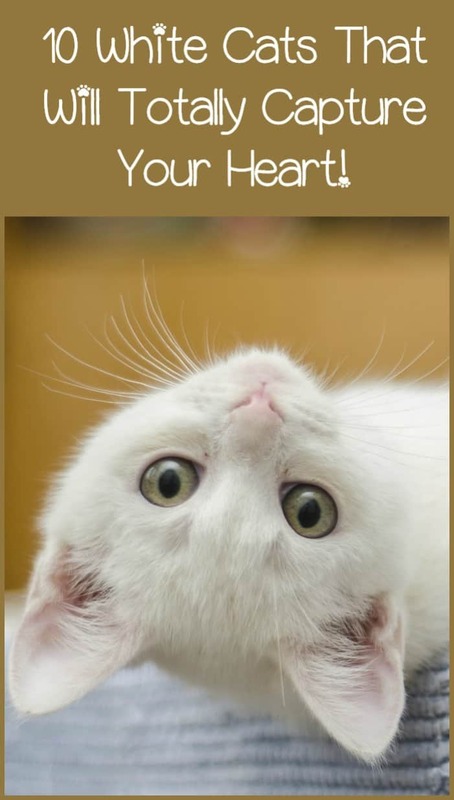 Do you love white cats? Tell me all about your kitty! My girls want a cat so bad. They are so cute and fun!